LIQUI-MOLY Bathurst 12 Hour drivers have starred within a stunning 1-2 result for Audi in the 24 Hours of Dubai held across the weekend. 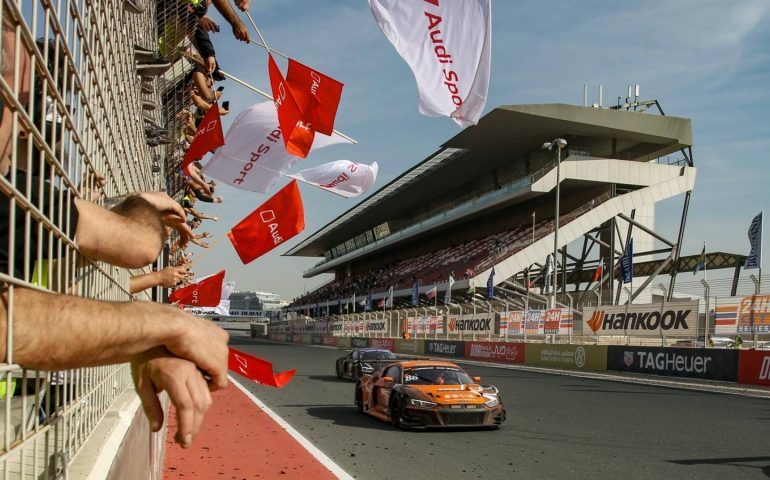 German team Car Collection Motorsport won the race, the #88 Audi R8 LMS GT3, drivers Dirk Parhofer, Christopher Haase, Frédéric Vervisch and Rik Breukers racked up a total of 607 laps of the 5.3 km circuit. Haase will share an Audi Sport Team Valvoline R8 with Christopher Mies and Markus Winkelhock in the Bathurst classic, while Vervisch will share the sister car with Garth Tander and Kelvin van der Linde. Mies finished second in Dubai, sharing a similar R8 with Mohammed Saud Fahad Al Saud, Michael Vergers and 2018 Bathurst winner, Dries Vanthoor.